Scientists seem to warn us about the dangers of doing just about anything fun, so if I were you I’d take this recent study with a pinch of salt. Although don’t eat the salt, because I read somewhere that it gives you cancer too. A study carried out by the European Chemicals Agency found that getting inked can lead to skin problems and an increased risk of cancer and mutations. Many reports show significant concerns for public health stemming from the composition of inks used for tattooing. The most severe concerns are allergies caused by the substances in the inks and possible carcinogenic, mutagenic or reproductively toxic effects. The report will likely lead to the ban of certain inks in the EU. Tattoo inks are not currently regulated to the extent that food and drugs are in Europe and many shops operate without government regulation. If it is found that a restriction is needed, a formal proposal to restrict the substances will be submitted within one year to initiate the process. The scientists claimed that red ink is the most dangerous of all colours, but they also warned blue, green and black can cause long-term skin problems. So we’re all fucked, basically. The NHS has also recently released a warning about black henna tattoos. If you see a shop or stall offering to paint black tattoos onto your skin, don’t be tempted to get one. It could leave you scarred for life and put you at risk of a life-threatening allergic reaction. So, if we’re to listen to scientists, we shouldn’t eat, drink, smoke, get a tattoo, walk outside, drive a car, ride a bike, watch television, use a phone or breathe. I don’t know about you, but I’m going to ignore this one. 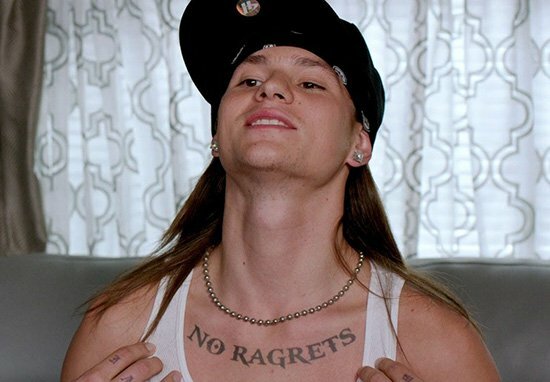 No ragrets.